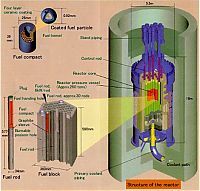 The HTGR is the only current nuclear energy source producing temperatures higher than 900 deg C and can be used for any cogeneration or non-electric applications such as hydrogen production. HTGR technology is not brand new as development began in the 1950s. The first prototypes developed were Peach Bottom-1 in USA (1967 to 1974) and AVR in Germany from 1967 to 1988. 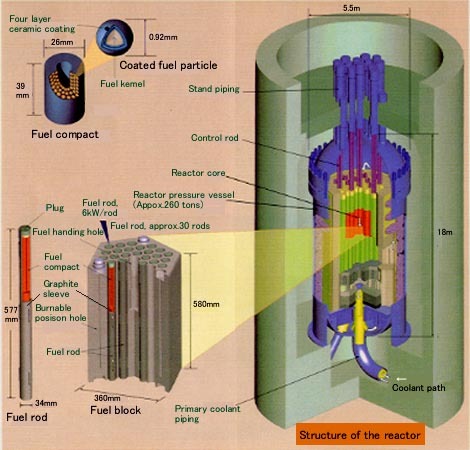 Fort St Vrain in the US and the THTR in Germany were the only commercial reactors - both were shut down in 1989.